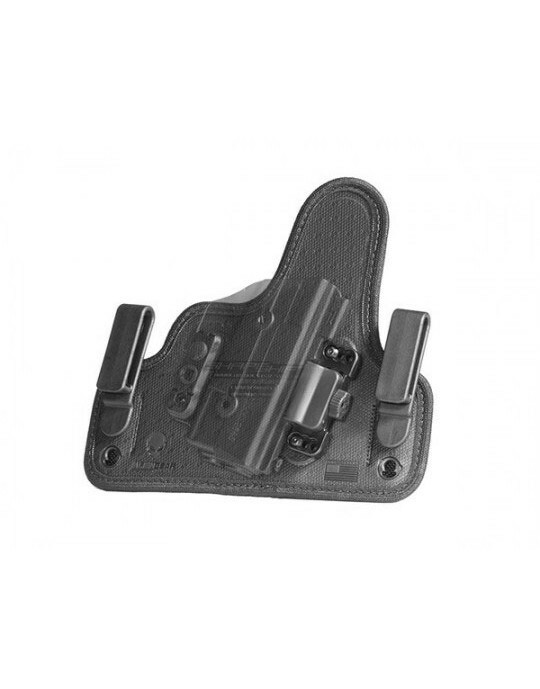 Trust and reliability are part of the foundation holding the firearms community upright — we believe this Ruger SR40c paddle holster matches the integrity of the firearm it was made to secure. 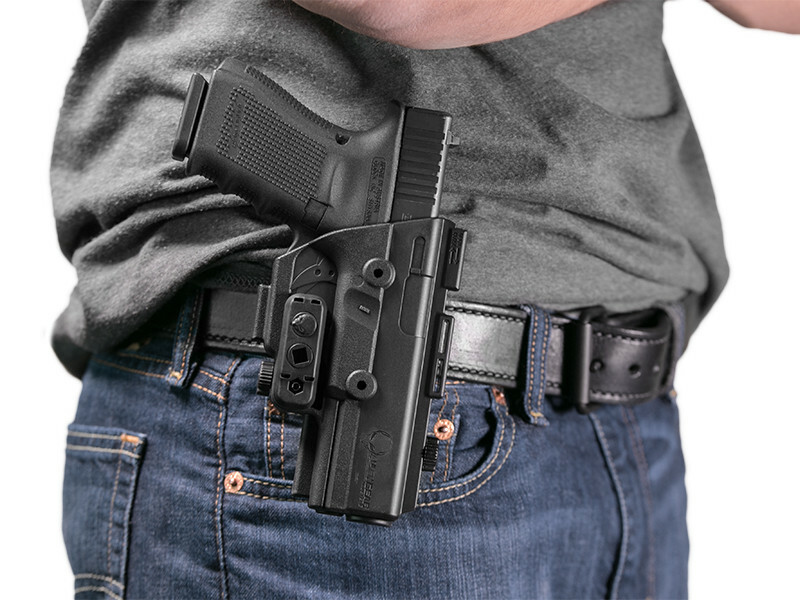 That credibility is translated into the core concept of what this holster was made to emulate: comfortability, quality, commitment, retention, safety and customization. 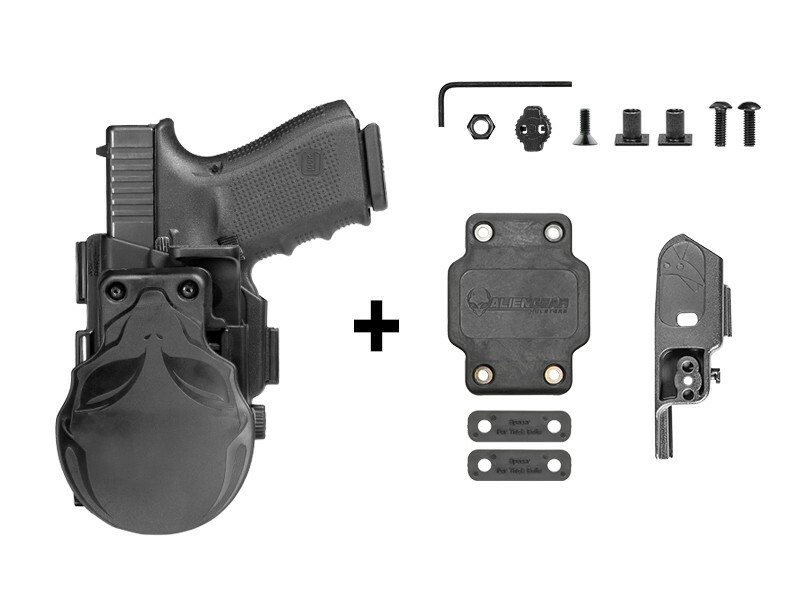 Adapt this paddle holster to your needs. 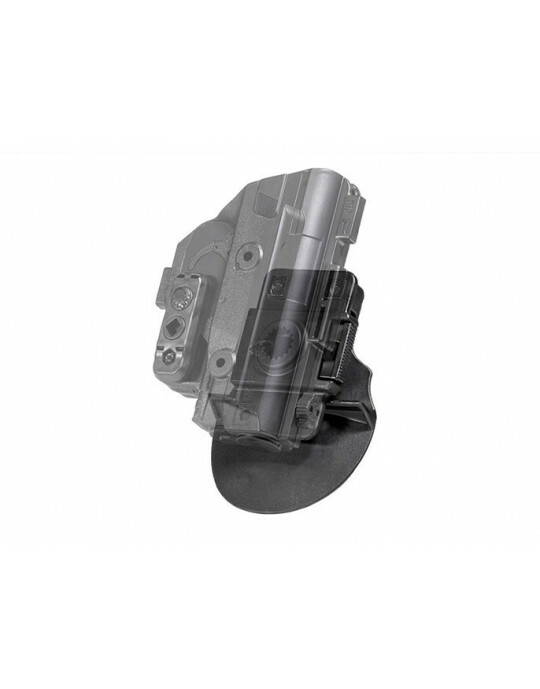 Install the retention bar to adjust the level of passive retention for a tighter or smoother draw, and if more security is needed, an active retention thumb release is included. 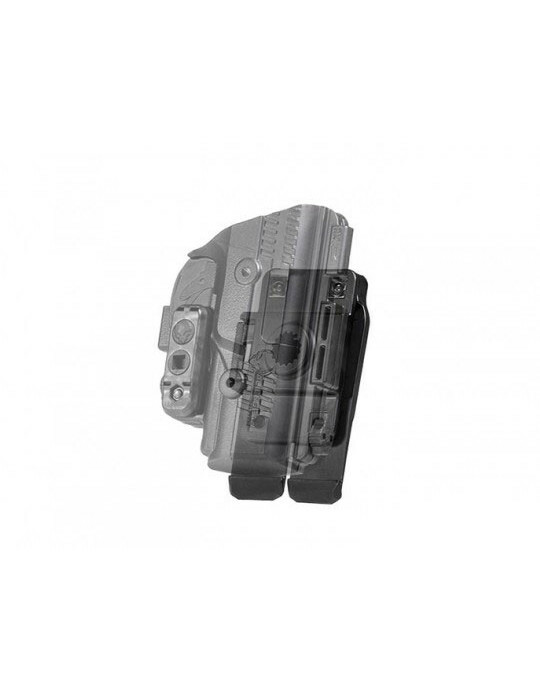 The ShapeShift Ruger SR40c paddle holster can rotate a full 360 degrees and lock in 12 degree increments for the preferred cant. 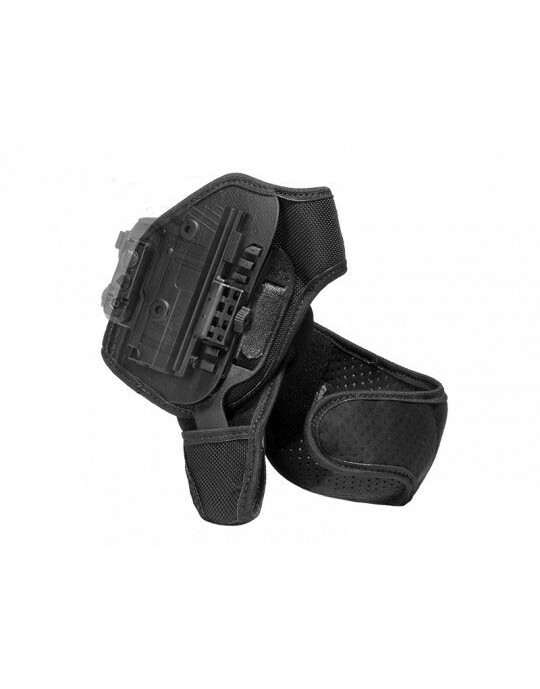 This OWB holster is made to match the needs of any environment. The lip on the paddle clip locks onto a belt, and the docking mount if the handgun needs to be stored off the body in a safe location. 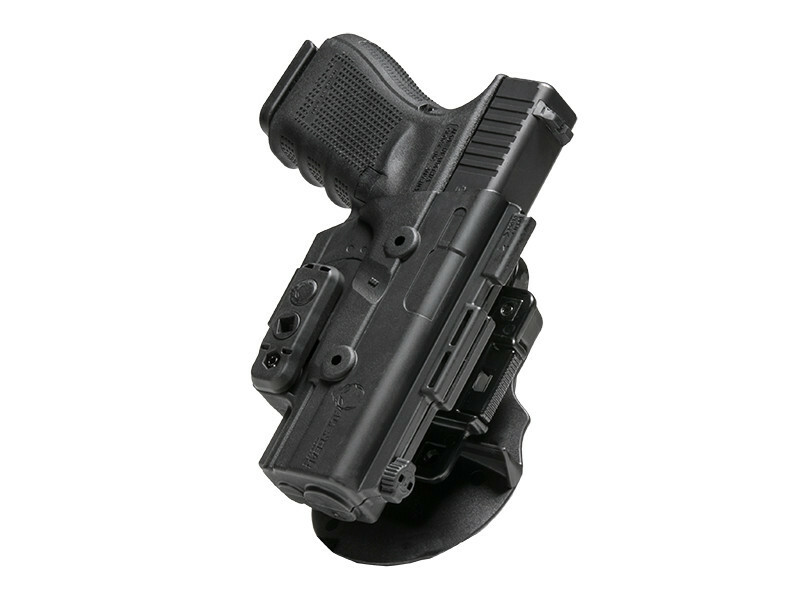 Remove the paddle attachment and install the belt slide attachment to the spline on the highly durable, polymer injection-molded shell to convert it into a belt slide holster. 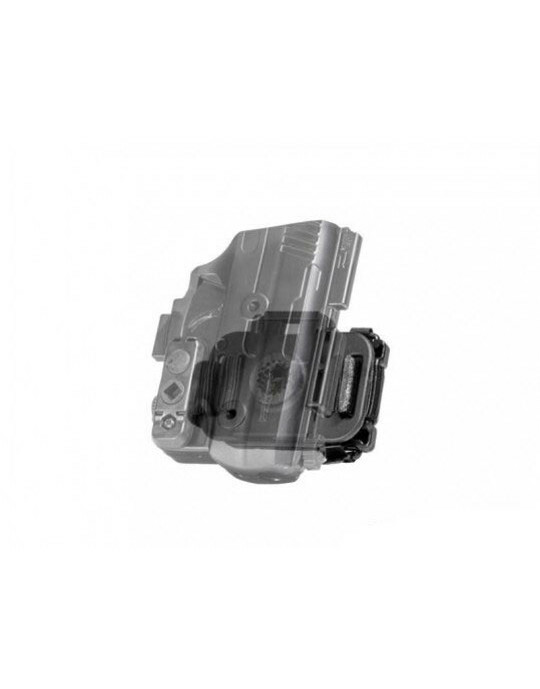 The parts of the holster are also made with that same injection-molded polymer. 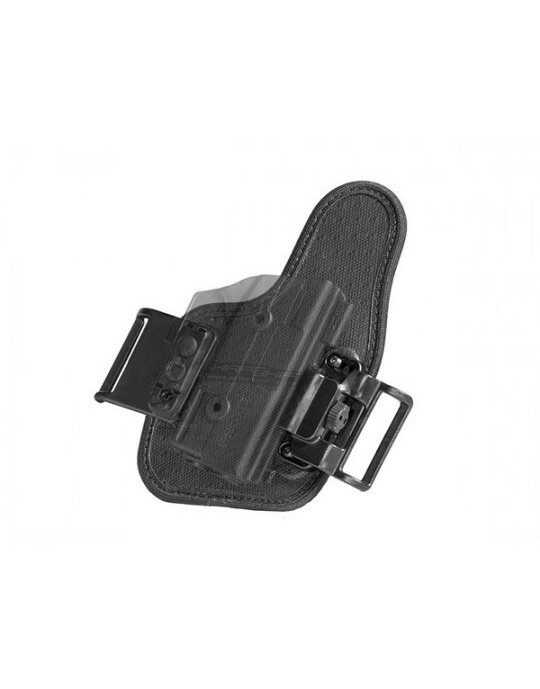 They're made in America to be indestructible, but if there is an issue with any portion of the holster, the Ruger SR40c OWB holster is covered by a lifetime warranty. Just let us know about the issue and we'll send new parts, or even a completely new holster. As part of that commitment to you and your gear, give it a 30-day test drive. 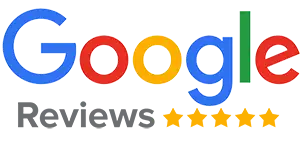 If you don't like it, we'll buy it back from you with no questions asked. 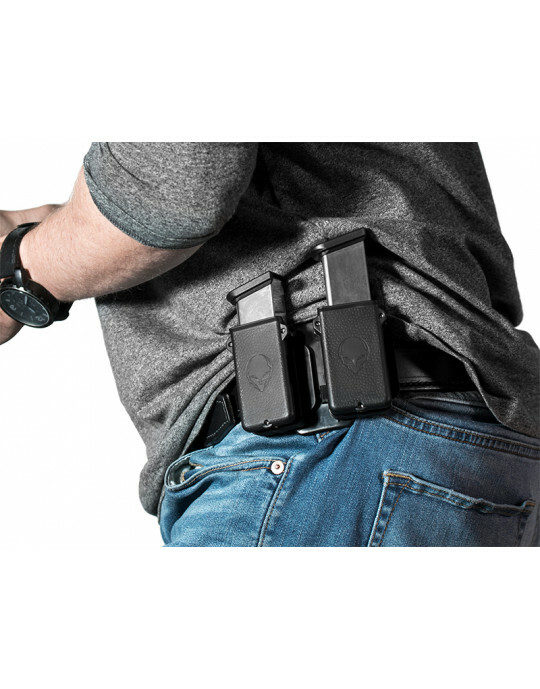 The ShapeShift holster is part of a modular system that can convert into any conceivable carry method. 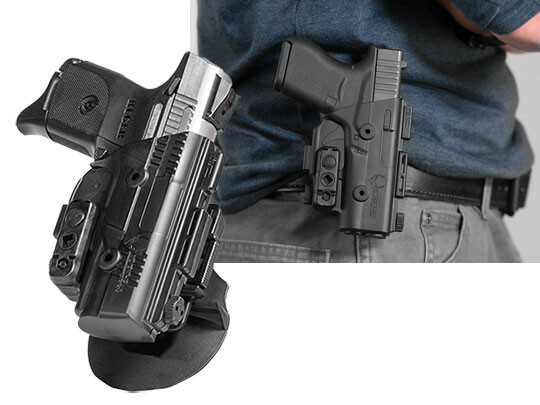 This holster allows you to control every aspect of open and concealed carry, making it one of the most innovative options available.